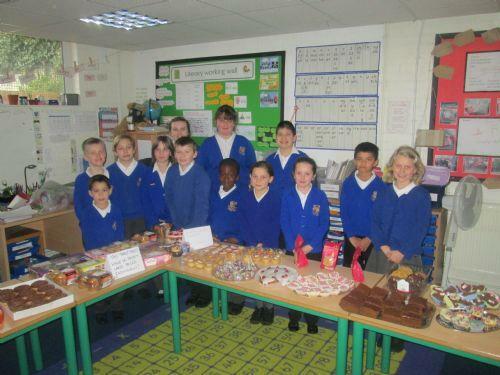 On Friday 14th February our school council held a bake sale to raise funds for new playground equipment. Hundreds of cakes, cookies and other treats were donated by children, parents and staff. Baked goods were sold at breaktime for 30p in the school hall, in the staff room and after school in the Year 1 classroom. We can't reveal the final total that has been raised (yet!) but we can reveal that the endeavour was a tremendous success. A big thank-you to all who supported this event. It was wonderful to see our school community come together for a fantastic cause.